← My thoughts on special needs…. What not to say to a pregnant woman…. 2. “I’m so hot, I wish the weather would cool down” I gotta tell you that you have no idea what hot is until you are very pregnant in the summer. You can complain about hot to other people but not a very pregnant woman, she is hotter than you, I guarantee. 3. “How much weight have you gained?” Just don’t….ever! 4. “Eating for two, I see” Again, not funny. 5. “How are you going to manage when the baby comes?”(INSERT SARCASM) Oh, I really hadn’t thought about it. 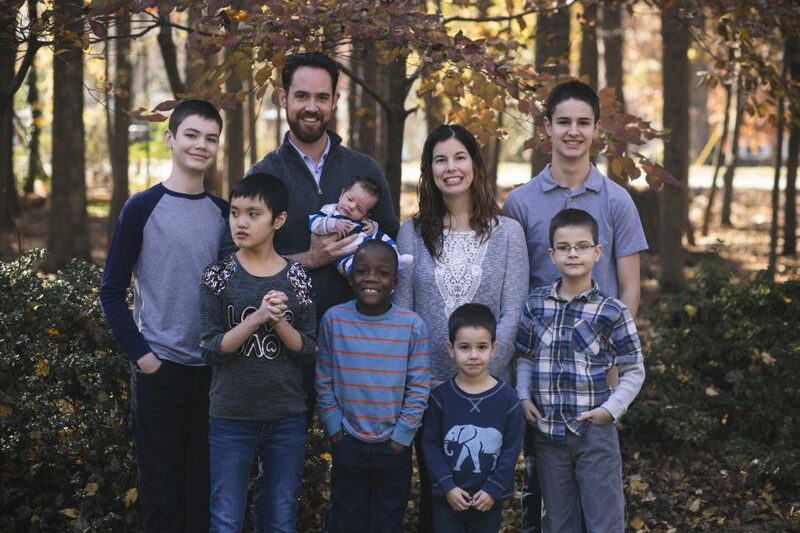 I guess it might be hard to juggle my five kids and one baby plus homeschooling…etc. Really, I myself wonder all the time how I’m going to do it, but the truth is at this point it just doesn’t matter. We are having a baby in a very short time and I will figure it out. It might not be pretty all the time, but we will make it. The better thing to say is, “I know you will do great!” Or something to that effect. Confirming my own fears of inadequacy is not helping me. 6. “well, when I was pregnant with ____, I had the most horrible birth experience….” I don’t want to hear your horrible birth experiences, I have my own to remember and hope this one will be better. I don’t know why woman enjoy telling each other horrible birth experiences, it’s just cruel to pregnant woman, especially ones who have never had a baby before. 7. “Are you going to have any more kids after this one?” or “your done having kids, RIGHT?” Truthfully it’s none of your business. And really, what do you want me to say anyway? I am very pregnant with this baby and have no intentions of discussing further kids at this point. No one wants to talk about future children planning when they are this pregnant, so don’t ask. As I wait for this little blessing to make his entrance into the world, I am thankful for those around me who are an encouragement. Pregnancy is always a challenge, but it’s also always a reward. The morning sickness, aching back and stretch marks will all be worth it in the end when this little guy meets the world. Pregnancy for all woman is a challenge. Seeing your body change so dramatically in just 9 months freaks you out. Getting on the scale is depressing and you wonder if you will ever look normal again. My self-esteem is hanging by a thread sometimes when I am getting dressed and nothing fits or looks good. I know it’s all for a great cause, but it’s still not easy. Just keep in mind what the pregnant woman you are speaking to is telling herself about herself, and try to speak kindness and encouragement. Yes! Yes! Yes! Haha! Love it. 1. I’m so glad it’s so close to my date. 2. I can’t put my own palms on my face because they feel like heating pads. Sheesh! 4. Yes. And give me your sandwich. 5. Or…You’re gonna have your hands full. Always a favorite. Thanks. I’m actually looking forward to that. 6. Mine was great. Would you rather hear that? Hahaha…just kidding. 7. Look out, hormonal pregnant woman about to throw down…nope…no energy for that anymore. I. Cant. Wait. to hold and kiss and know this little boy. And I love that he will have a close birthday with a great friend. It’s so much more fun doing this at the same time as a dear friend. Seriously…before and after shots together. Mmmkay? Amy, I was just thinking we gotta get a belly shot together and then dress them up cute and take pictures together when their born. Maybe you can make them matching hats or something.